As One Animation’s animated kids’ comedy series Oddbods continues to gain rapid momentum, the brand’s UK licensing agent ITV Studios Global Entertainment (ITVS GE) today announces its first signings for the UK licensing programme. The sketch-based CG-animated comedy series follows the adventures of seven characters each with distinctive colours and personalities. Its non-dialogue and slapstick comedy has seen the show quickly rise to become a kids’ favourite. In July, Oddbods’ UK master toy partner Golden Bear launched its highly anticipated range that spans collectible figures, plush, face changers and vehicles at major toy, specialist and select grocery retailers. Now to support the toy line, ITVS GE has signed a raft of licensing partnerships that will bolster the brand’s UK merchandise offering. Kicking-off the publishing category is Bonnier that will develop an Oddbods activity and sticker book that will hit shelves in April 2017 .Cooneen and Misirli will build the apparel category with kids and adults nightwear, underwear and socks launching in Spring/Summer 17. Kids@Play will introduce outdoor playballs and hoppers in autumn/winter 2017, and Whitehouse Leisure’s line of plush exclusively for arcade machines will be available in Summer 2017. 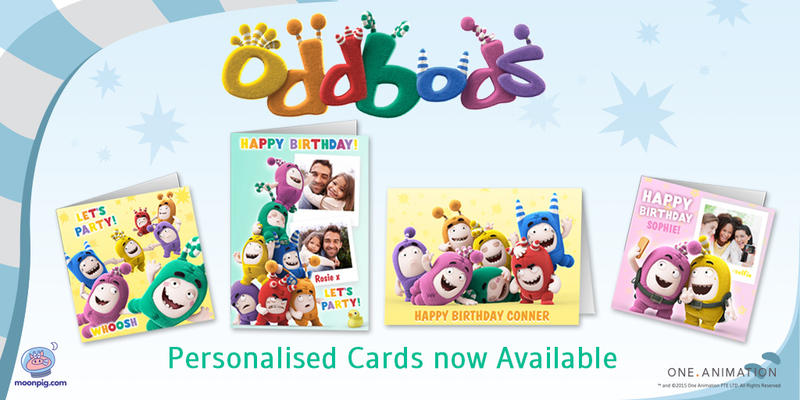 Rounding out the line-up is greeting card website Moonpig that recently launched its range of customisable Oddbods birthday cards. “The strategic licensing programme that ITVS GE has been working on will see the introduction of a full range of very exciting consumer products over the course of the next few months which are very much in line with the show’s DNA,” comments Bettina Koeckler, One Animation’s EVP of Global Consumer Products and Licensing.